Posted on March 23, 2016 at 11:29 am. Spring – and early bulbs pop open while other plants move slowly to surface, knowing their own rhythm. And so it is at Yasodhara Ashram. 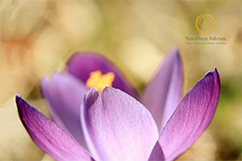 Out of the resting period arise the first blossoms – new courses and retreats, new brochure and new blog. Plus most special – twenty-one beautiful Yoga Development Course students growing deep understanding as their course moves to completion. Other projects continue to unfold gracefully, like our online version of Radha’s Story – with two parts online and one to go. And then there is the Temple, making signs of movement as it weaves together the vision of Light with the reality of limits. The Temple, too, will blossom in its season. We inhale, exhale and imagine sacred space once again. 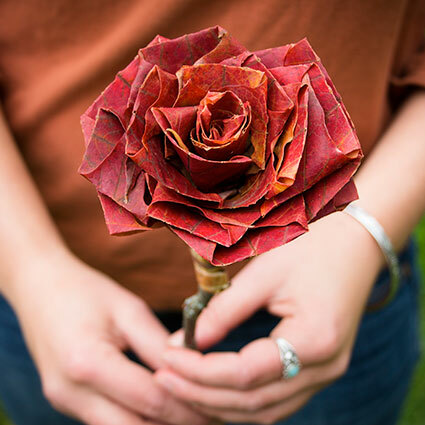 Our thanks to you for your presence, invisible and visible, your longing for Light, your gift of giving back. May spring bring you vitality and joy. 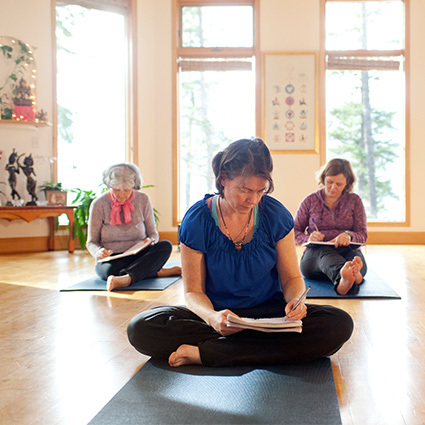 Change Yourself, Change Your World, Yasodhara Ashram’s theme for this year, comes alive like breath in our 2016 program offerings. We can breathe in Light to fill ourselves and then exhale to offer that Light to the world around us. The Ashram remains vital by keeping an ear to the world. What are the current issues? What are the conversations people are having globally, nationally and locally? What common concerns do we all share? 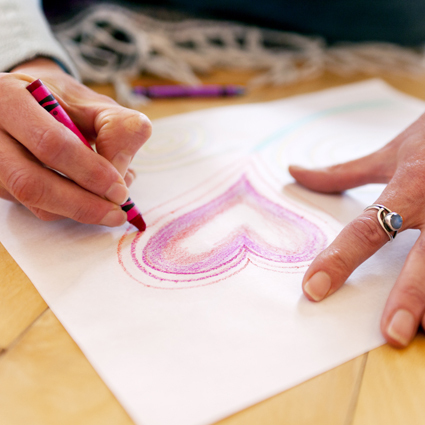 From listening in this way, we have created four new courses and retreats for 2016. What would stimulate the changes you want to make? Come and connect with other like-minded people. In Life Seals you create a symbolic life map that surfaces hidden patterns and clarifies direction. The process of opening your personal symbolism is rich, memorable and often deeply moving. Give yourself ten days to expand your understanding of who you are and who you want to be – ten days reprieve from stress in a safe and nurturing place of reflection. For students of all levels, this course offers practices that support your personal and spiritual development. Spacious and nurturing, enjoy time to go inward, accessing your compassion and inner Light. 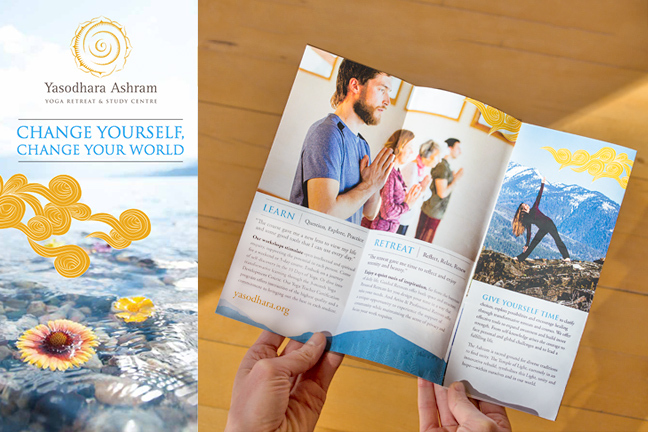 The Ashram is stepping out this spring with a vibrant new brochure featuring our Change Yourself, Change Your World theme. How can you help? Consider your connections and help us distribute the brochure. Where? Health practitioners clinics; yoga studios, gyms and community centres; staff rooms; health food stores; social/cultural facilities; universities and colleges; support and reading groups; friends and family. Let us know how many copies you would like and we will arrange to send them. Please include your mailing address. Contact marketing@yasodhara.org. Thank you! Can’t make it to the Ashram? This spring we are happy to bring the Ashram to you! Swami Satyananda is offering workshops in the Okanagan (Vernon and Peachland) and on Vancouver Island (Nanaimo), and Swami Jyotihananda will be taking the teachings to Calgary. Come if you can and tell your friends! Check out our Teachers on Tour page for more information. If you have ideas for Ashram workshops in your area, including workplace or healing groups, please be in touch at outreach@yasodhara.org. 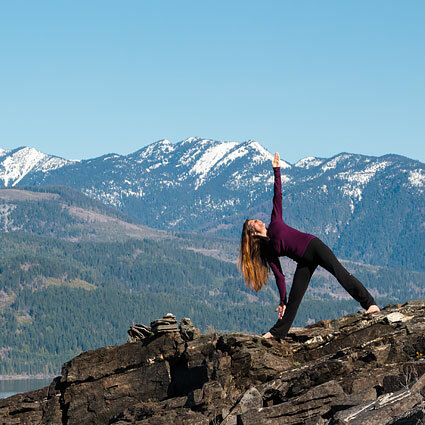 In the spirit of spring growth, we would like to present our new blog – Change Yourself, Change Your World – offering perspectives on yoga and stories of Yasodhara Ashram’s power to initiate life changes. Reflections from the Path, Ashram president Swami Lalitananda’s monthly column explores the unique perspective of a life committed to yoga. 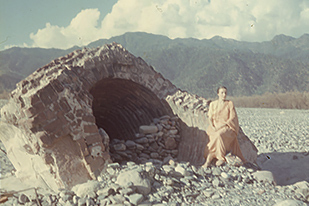 From reflecting on daily life at an ashram to the transformational potential of yoga, her writings address the individual and global impact of spiritual practice. “I was outside, knocking on many doors when this door opened to an endless source of continuous learning.” Read her post. 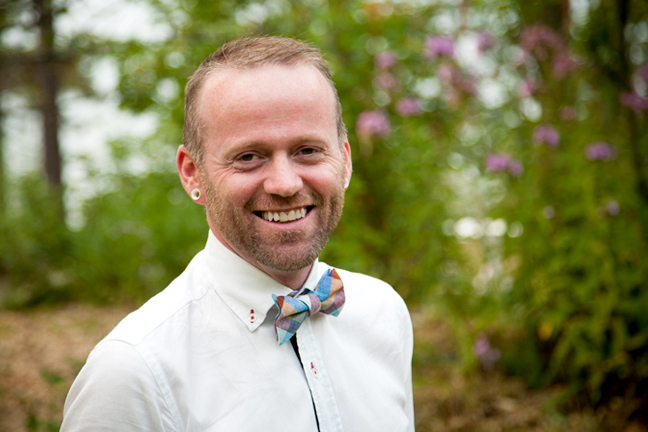 Bryn Bamber, our other columnist, is a writer, educator and Yasodhara Yoga Teacher. She writes from Toronto about Finding Yoga in urban life. Her first post describes how a rewarding but emotionally challenging job led her to search for tools that could sustain her own well-being. “It was my first time on a film set. The scene was simple, a black backdrop, a stool, bright lights. There was the air of excitement.” Read her post. 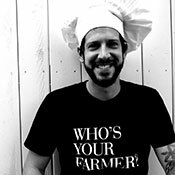 And our guest writer this issue, visiting chef Giulio Piccioli gives his lively perspective of the Ashram’s sustainable food practices. 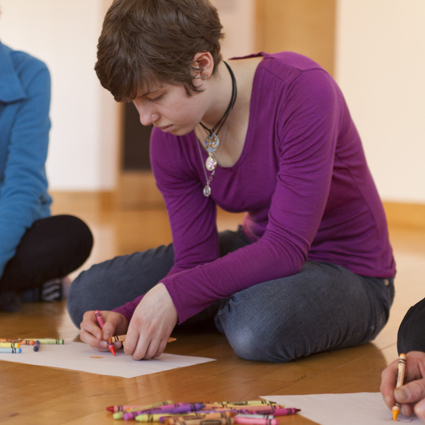 The blog also offers a rich resource of reflective practice guides, art projects and recipes. Join us by signing up to receive email updates as new posts are published (sign up form is on the sidebar of the blog). Or check our website regularly. Manifesting this Temple of Light, a one-of-a-kind building, is a rare adventure. So much complex detail happens in the unseen. Do divine committees create this kind of detailed life plan for us before setting us down on Earth? Here’s where we are. Spearhead, the fabrication facility, is awaiting final structural specifications before creating a model of the trickiest part of one of the “petals.” This physical model will offer an opportunity to maximize efficiency before using their CNC (computer-controlled) equipment to precisely cut the framework of the entire Temple. Pieces will then be locked together like a giant puzzle, and appropriate-sized segments will be hauled across the lake and erected to create the whole. Meanwhile the construction manager is diligently gathering quotes from contractors and vendors. The Temple’s lotus-like design challenges glass manufacturers, for example, who are used to working in squares and rectangles. But progress is being made…. Working together with architects, engineers, fabricators and construction management, we hold the dream as well as holding firmly to practical considerations such as energy-efficiency and budget restraint. Adapting dream and reality. We are ever grateful for your support. Stay tuned as the Temple continues to develop. Check out this inspiring Globe & Mail review of Patkau Architects’ latest project. The second part of Swami Radha’s inspiring biography is now available free online. Invite friends to watch this introduction to the surprising, courageous and challenging account of one woman’s quest, her path and accomplishments. 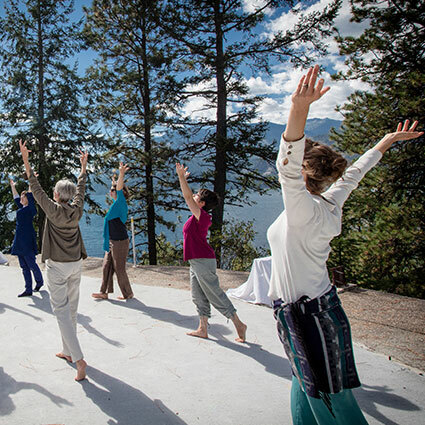 This is an inspiring story, a personal story, a woman’s story, a Canadian story and the story of a pioneer in bringing yoga to the West. Watch the video, Part 2. Stay tuned for Part 3, the completion. How does the Ashram environment create an inviting space to explore both creative and spiritual potential? 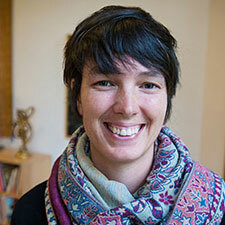 Recent artist retreat guest, Elizabeth Burr from Vancouver Island, describes her experience. My three-week artist retreat has been an incredible, focused time – with yoga classes in the morning, some Karma Yoga during the day and satsangs in the evening. The spaciousness of my days brought a concentrated focus that was very beneficial. I felt supported on every level. As I listened to personal stories at satsang and remembered reading Swami Radha’s Diary of a Woman’s Search twenty-five years ago, I felt I was coming full circle. Although my initial focus in coming here was unformed, I soon opened to the idea of writing my own story. I realized that my strong resistance to telling my story came from a fear that it would be coming from a place of ego. By letting go of my fear and resistance, I was able to open to what wanted to come through. I also experienced a new freedom with music during my artist retreat. I participated in bhajan singing at satsangs, entering into that universal language with other musicians. My final offering was to lead an interfaith chant for peace. The strength of the container here allowed me to touch into these burgeoning places within. The Ashram, to me, is an amazing sanctuary for growth. Gordon Matchett recently donated to the Ashram, choosing to join the monthly donation program. 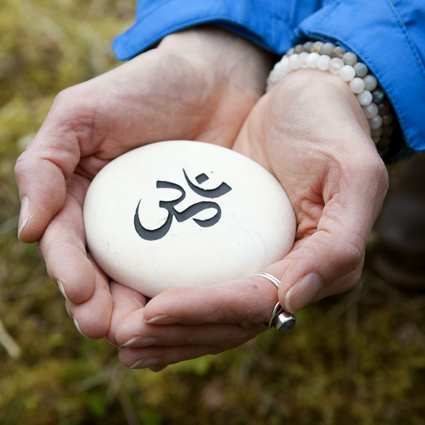 He reflects on making this new commitment to support the Ashram’s work. Why do I give to the Ashram? It’s simple. I’ve received so much from the community and the teachings. I find myself in a place where I can give back, so of course I will. I’ve recently landed in a new job – as CEO for the Take a Hike Youth at Risk Foundation – that takes me to the Kootenays every few months. Each time I am in the region, I take a couple of extra days to see my Ashram family and offer some selfless service. I also know how much donations mean to the Ashram. Even my small monthly gift helps others have opportunities like I have had. Every time I return I’m super appreciative of the people who are at the Ashram – living, working and learning. 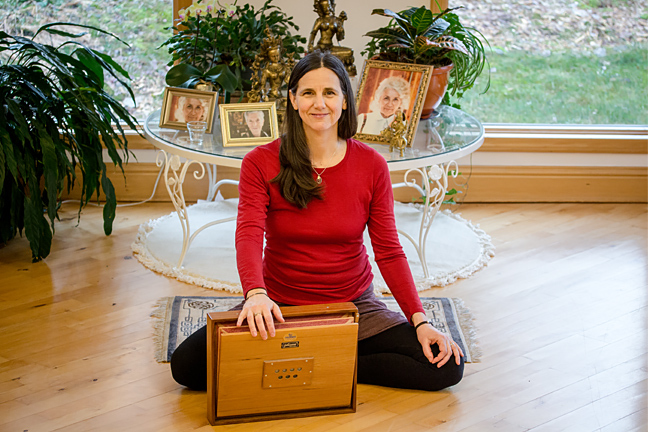 Their commitment to keeping the Light going is palpable, and their offering makes it possible for me to slip right back into the warm embrace of the Ashram community and practices. Support the Ashram, become a donor like Gordon. Donations of any size make a difference. 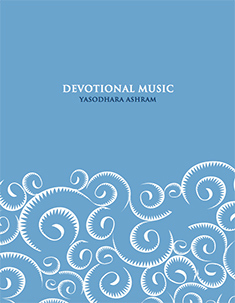 The Updated Edition of our music book is now available! Special Offer: Purchase the original First Edition of the music book for 25% off and receive a free PDF download of the Updated Edition. Learning Residencies -Take this unique opportunity to deepen your skill-set while offering service and expanding your self-understanding. Learning Residencies in the Ashram’s Kitchen and in Hospitality have been reposted. Find out more and apply here. YDC highlights – Quotes from Swami Radha’s archives are being posted on Facebook to coincide with the learning journey of the three-month Yoga Development Course (YDC). 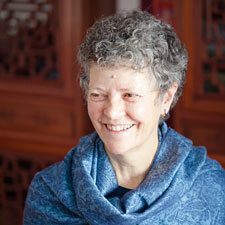 Check out her wisdom on the Bhagavad Gita, Straight Walk and Identification. YDC 2016 is now heading into the home stretch – an amazing group of learners! Dancing for Lunch – Yasodhara Ashram dancers gave a special performance at the Taste of India fundraiser for the Crawford Bay School’s hot lunch program. Swami Satyananda said, “It was very special to be able to offer our devotional dances at a community event and in support of such an important program!” View photos from the event on Facebook. Transgender Awareness – Ashram residents, Karma Yogis and YDC participants attended an informative session called “Trans 101.” We learned about the challenges faced by those whose gender identity and/or expression differs from conventional norms. Read more on Facebook. 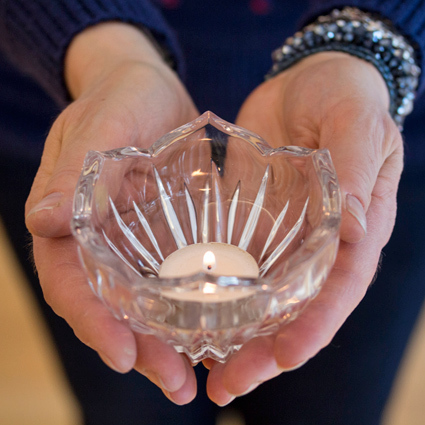 Workshops in Europe – Swami Sukhananda has been actively offering workshops in Hungary, France, Portugal and across England to the delight of past Ashram students as well as first-time Yasodhara Yoga students. Read more about her inspiring work in Europe. 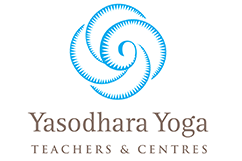 Annual General Meeting – Yasodhara Ashram Society, the Friends of Radha Foundation and the Association for the Development of Human Potential will be holding a combined Annual General Meeting on May 6th at the Ashram. Members of all three organizations are invited to attend.